VERA is a Japanese VLBI array aimed for obtaining 3-dimensional map of the Milky Way galaxy. With VLBI (Very Long Baseline Interferometry) technique, VERA will measure distances and motions of radio sources in the Galaxy with unprecedentedly high accuracy, unveiling the true structure of the Galaxy. The construction of VERA array was completed in 2002, and it is under regular operation since fall of 2003. 'VERA' stands for 'VLBI Exploration of Radio Astrometry'. It also means `the truth' in Latin. 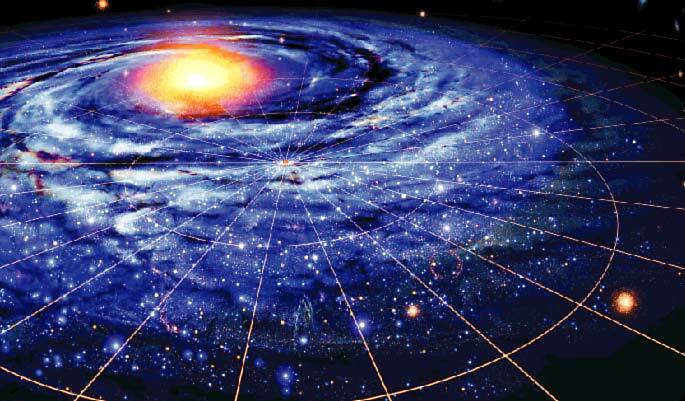 Artistic view of the Milky Way Galaxy and its astrometry from the Earth.